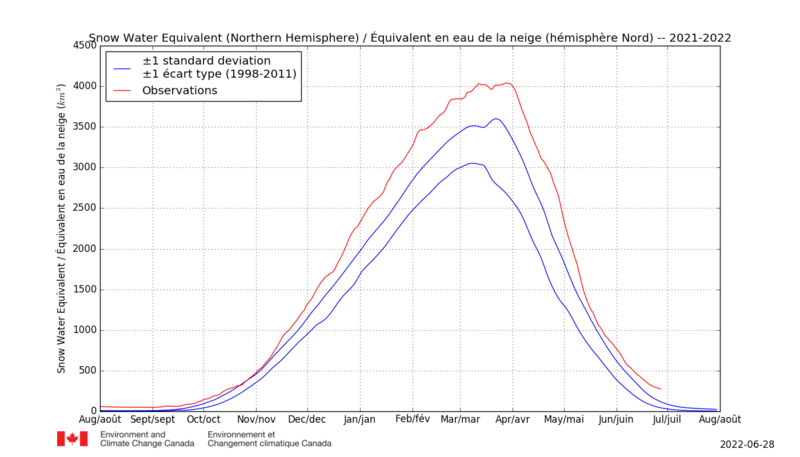 Northern Hemisphere Snow Water Equivalent above normal all year. This annoys me so I bring it up every once in a while. Could global warming be caused because of more sunshine? In Canada, we’ll never know. 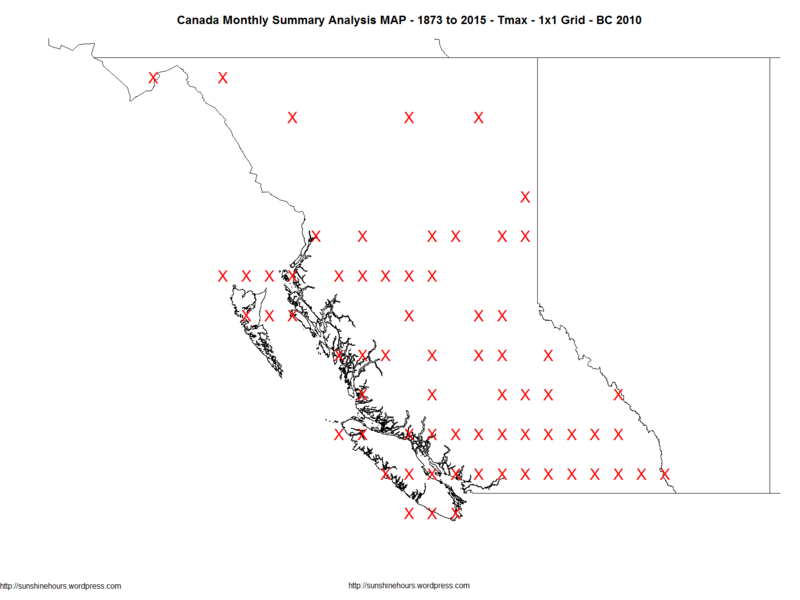 The stopped collecting that data in 2015. Here are three graphs. 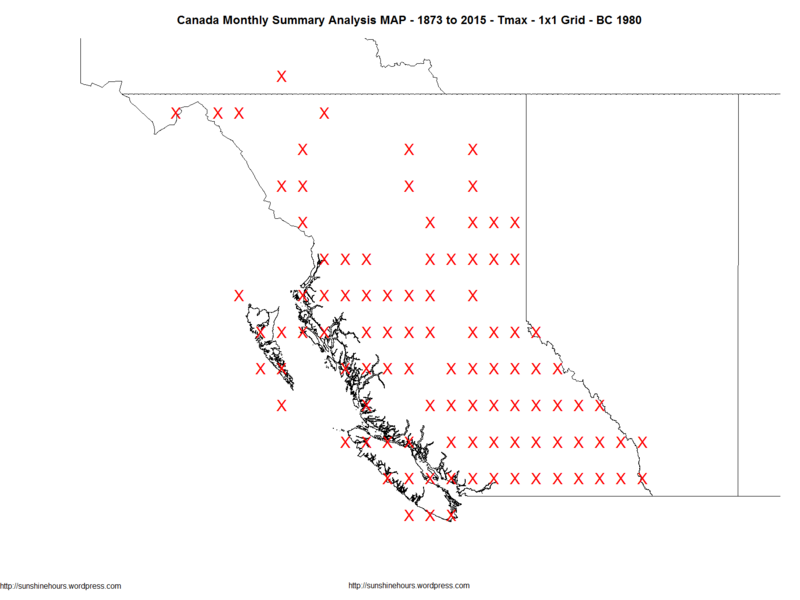 One shows the number of weather stations (half of what there used to be) and one shows the number collecting sunshine data. A 3rd graph shows what you can do with UK sunshine data. Northern Hemisphere Snow Water Equivalent above normal all year … except for the day all the snow melted (and then came back). 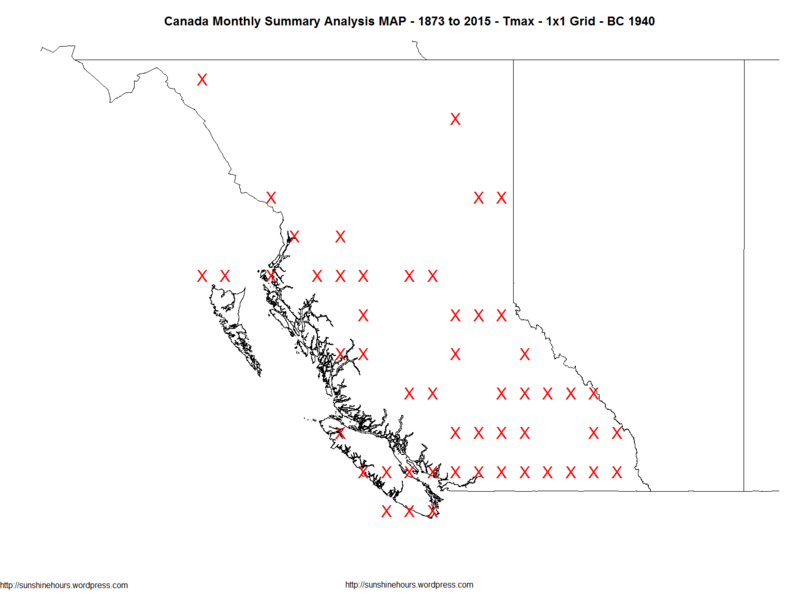 Once up a time (June of 1978 to be precise) if you downloaded Environment Canada’s monthly summaries, you would have found 313 stations with “Bright Sunshine” hours. 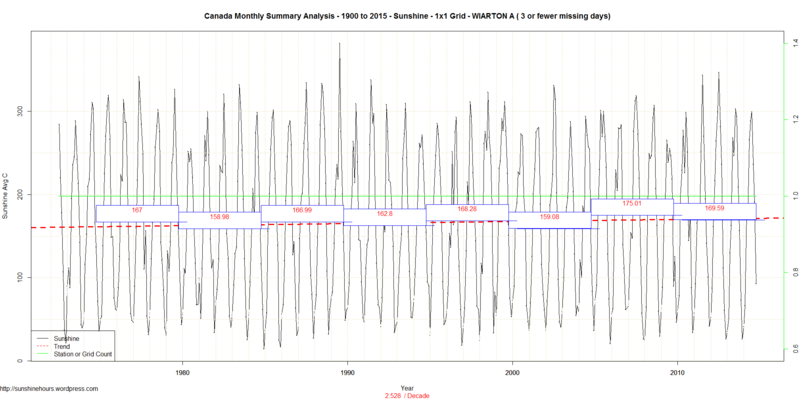 As of today, only WIARTON A reports sunshine data and for May 2015 25 out of 31 days had no valid measurements. 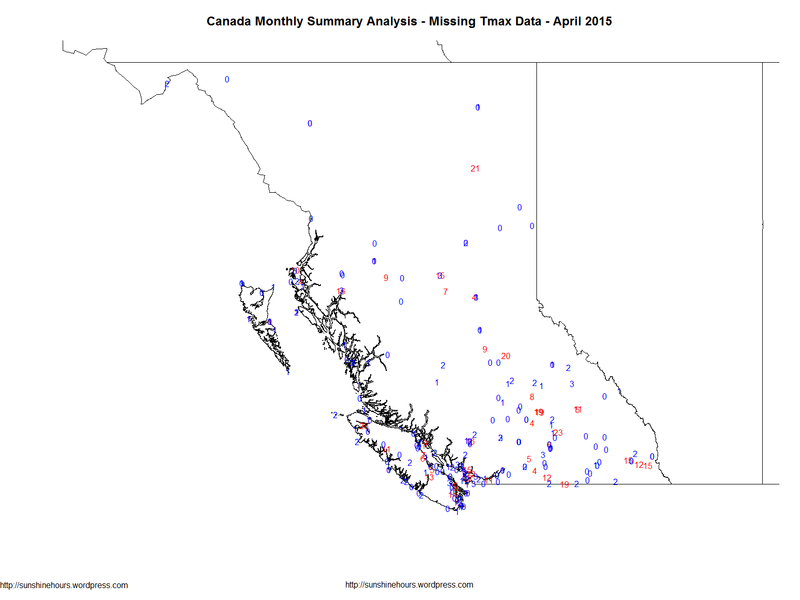 The following map shows which stations were missing (or not missing) daily Tmax data in the monthly summary for April 2015. Blue had 0-3 days missing. Red more than 3. What saddens me is that 19 out of the 43 “red” stations were also “Normals” – which means they were reference stations. 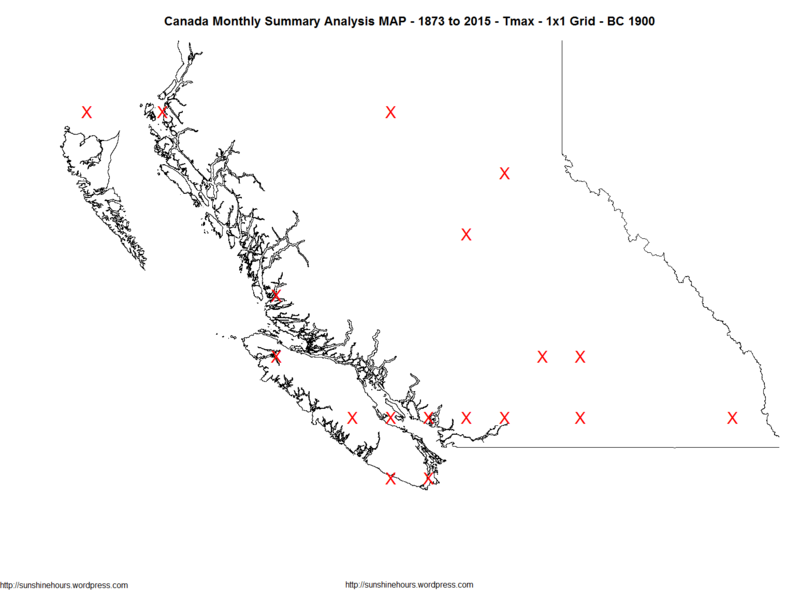 The following maps show which grid cells (apprximately) had data in a few key years.